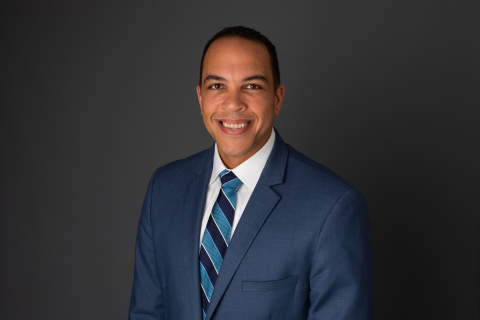 Tony Buffum Named FLIR Systems’ Chief Human Resources Officer | FLIR Systems, Inc.
WILSONVILLE, Ore.--(BUSINESS WIRE)--Oct. 8, 2018-- FLIR Systems, Inc. (NASDAQ: FLIR) today announced that Tony Buffum will join the company as Senior Vice President and Chief Human Resources (HR) Officer. As a key member of the executive management team, Mr. Buffum will report to President and CEO Jim Cannon and will assume a strategic role in the continued growth and overall operations of FLIR. Mr. Buffum will lead the company’s global HR team, oversee delivery of all programs, and drive all facets of change management pertaining to culture, organizational design, performance management, and acquisition integration. Among his priorities will be spearheading talent recruitment, training, and development efforts and collaborating closely with the management team in the creation and execution of business strategy. Mr. Buffum will also provide insight and thought leadership to FLIR Systems’ Board of Directors on compensation and succession planning. Since 2008, Mr. Buffum worked at Stanley Black & Decker (NYSE: SWK), a $13 billion global manufacturer of industrial tools and household hardware and provider of security products. Most recently, he served as Vice President of Human Resources for Stanley Black & Decker’s Security business unit, where he led a team of over one hundred global HR team members and had responsibility for HR strategy and execution across a 9,500-employee organization. He previously held numerous HR leadership roles at Stanley Black & Decker. Mr. Buffum started his career at General Electric in 2003 as part of its Human Resources Leadership Program and earned his Bachelor of Science degree in Industrial and Labor Relations from Cornell University. Mr. Buffum will be based out of FLIR Systems’ Arlington, Virginia facility. Paul Sale, FLIR Systems’ Senior Vice President and Chief Human Resources Officer, recently announced his resignation.